Among rising economic predictions and forecasts for 2019, it is not uncommon to hear many pessimistic views and comments regarding the Chinese economy. One of the views suggests that 2019 could be the worst year for the past decade but the best year in the next 10 years, meaning that the Chinese economy would worsen in the coming 10 years. It also analogizes China's reform and opening-up in the past 40 years to the US golden development period from 1890 to 1930. Since the US economy plunged by 50 percent during the Great Depression from 1930 to 1933, such a point of view implies that the Chinese economy may also face the risk of a Great Depression. Yet, taking a look at the US economic history, we will find that the seemingly reasonable analogy doesn't hold water. The US started its first Industrial Revolution in 1819, which lasted approximately 50 years. During the first economic boom, the US saw rapid development in such industries as steel, coal and machinery. In 1870, the US had already become the world's second largest industrial country, accounting for 23 percent of the world's total industrial output. Apparently, the golden growth period of the US economy didn't start from 1890 but actually started from 1819. In 1894, the US overtook the UK to become the world's largest economy. In terms of industrial output, the US may have actually surpassed the UK around 1890. Therefore, it is obviously incorrect to claim that the US golden development period started in 1890, because at that time, the nation was already, or was close to being, the largest industrial country in the world. The World War I brought the US a golden opportunity for economic development, becoming the world's largest creditor country after the war. And the US economy continued its rally in the post-war period from 1918 to 1924. That is to say the US economy underwent its second boom from 1870 to 1924. The US economy experienced unprecedented prosperity in the second half of the 1920s, but there were huge hidden dangers, which were reflected by the serious imbalances between international and domestic economies, as well as between the real economy and the financial markets. First, the US exported to Europe in large quantities by adopting trade protectionist policies, while European countries generally became debtors after the war with significantly weakened import capabilities. Second, the economic prosperity during this period was driven by investment, but people's consumption power couldn't keep up with the industrial production growth. Third, massive loans borrowed by companies led to the exponential increase in banks' financial risks. Fourth, the Wall Street stock market collapsed by 40 percent on October 29, 1929, leading to the broken links of banks and rapid shrinkage of corporate investment. To make things worse, the US government adopted two completely incorrect economic policies at that time. First, instead of relaxing monetary policy and injecting liquidity, the Federal Reserve raised interest rates. The government didn't offer any financial support, either, believing in the market's "invisible hand." Second, the 1930 Smoot-Hawley Tariff Act greatly increased US tariffs on lots of imported goods, which was followed by the retaliatory tariffs by its trading partners. The status quo of China is fundamentally different from that of the US in 1929. Although China is facing problems like diminishing investment returns, insufficient consumption and prevention of systemic financial risks, they are not as serious as the US problems in 1929. Moreover, there are two major policy differences. First, China adheres to an open economy. Second, the government has kept making timely adjustments to its fiscal and monetary policies. In fact, given the lessons of the 1930s, various countries moved to adjust their fiscal and monetary policies to deal with the 2008-09 global financial crisis, with increased policy coordination among them. Therefore, a recurrence of the Great Depression can almost certainly be averted. In short, the viewpoint that China faces similar prospects as the US in the Great Depression not only confused the timing of the high-growth period in US economic history, but mis-represents the reasons behind the Great Depression in the 1930s. 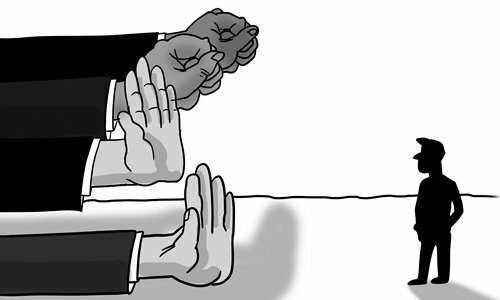 It arbitrarily applied the so-called 40 golden years of US economic development onto China's 40 years of reform and opening-up. We need to be vigilant against the spread of such pessimistic views, which are nothing but superficial statements that are not scientific and wishful on the part of the disseminators.